Visiting the Colosseum during my 2011 Eurotrip was a dream come true. My favorite view of the ancient arena was during my tour of the Roman Forum when I ventured up to the Temple of Venus and Rome. I don’t think many people realized they could go up to the temple because I had the entire place to myself, so I just sat for a while admiring the view, snapping photos, and appreciating an oasis of tranquility in the middle of the bustle of Rome. 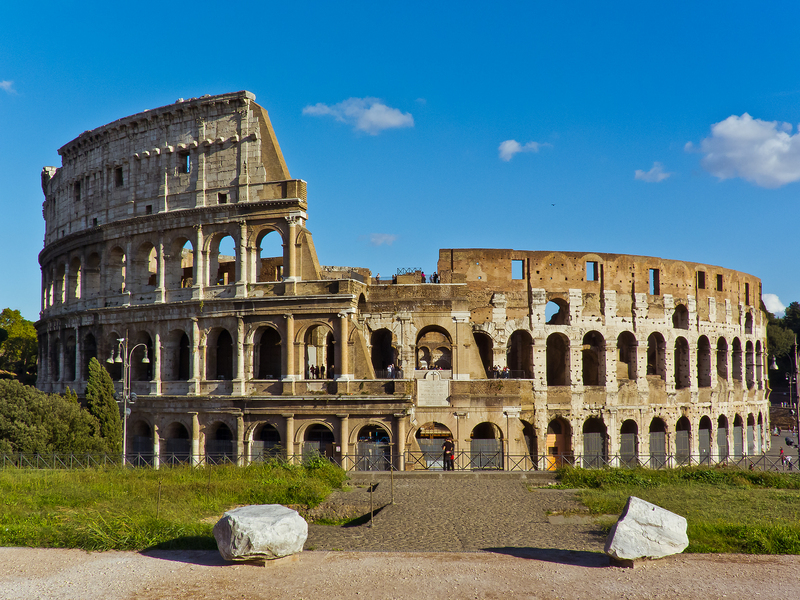 The temple itself is neat and worth a visit, but the best reason to go is for this view of the Colosseum. I can’t decide which of the photos I like more so I’m sharing both. The first features the Colosseum in all its glory taking up the entire frame. 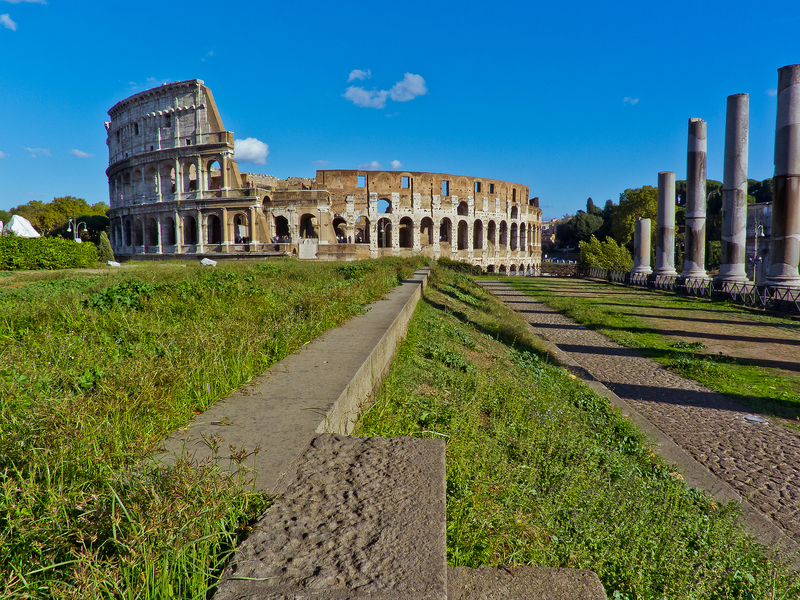 The second is a lower angle with less of the Colosseum visible, but I like the inclusion of the grass and the columns to the right. Writer, traveler, photographer, hiker, film/TV addict, amateur chef, casual gamer, and occasional tennis & saxophone player . . . in real life I do web design.